Welcome to my post on South Austin food trailers, as part of the Austin Food Blogger Alliance 2013 City Guide. Remember that trailers can be very transient, and they can move to other spots or (unfortunately) go out of business very quickly. Some of them are REALLY good about keeping their status updated on social media, and please remember, many of these are just operated by one or two people so if they're sick or have an emergency to tend to, they may not be able to open. In my trailer travels, I've met some fabulous people who are passionate about their food and it shows in their cooking. Hats off to them for working in such small spaces with less than ideal conditions at times. Here are my favorites. -- If you've been reading my blog, you may know that the owners of The Flying Carpet: Moroccan Souk Food, have become friends of mine (here's my last post on TFC). So yeah, I am a little biased, but whenever I've brought people who haven't previously been, they fall in love too. Maria and Abdu have the biggest hearts, and it shines in their food. 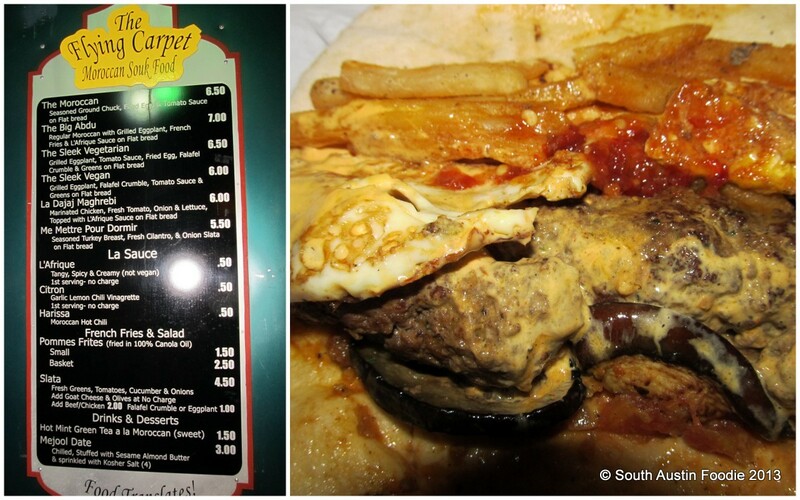 From L'afrique sauce to the Big Abdu wrap (in the picture below) to Moroccan kisses for dessert, it's downright delicious food. There is nothing else like it in Austin! 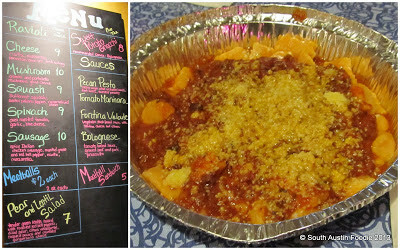 -- From my visits to TFC, I've been introduced to Zach of Regal Ravioli who is making killer pasta dishes. I've had the spinach and gorgonzola ravioli with a fontina veloute sauce, and the sweet potato gnocchi with bolognese sauce. Both rival anything you'd find in an Italian restaurant in town, and all made from scratch. -- Also back there is La Fantabulous Tacos, which I haven't tried personally, but I hear good things from Maria and Abdu. 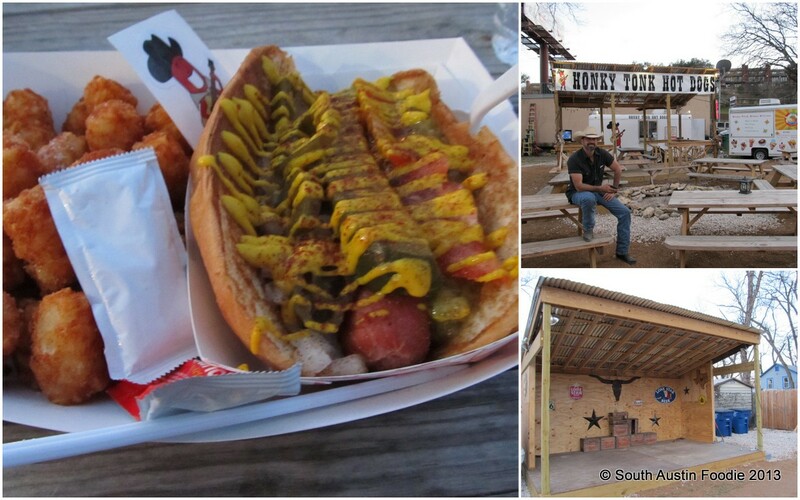 -- The park is under new management from Scott Angle, also the owner of Honky Tonk Hot Dog (formerly located on South Lamar, next to Red's Porch). Scott, a musician, has built a nice stage, as well as a covered patio, complete with a TV and a fire pit. His hot dog trailer has great beef dogs (nice "snap" to them), which you can get a variety of ways. This is his take on a Chicago Dog, and who doesn't like tater tots? 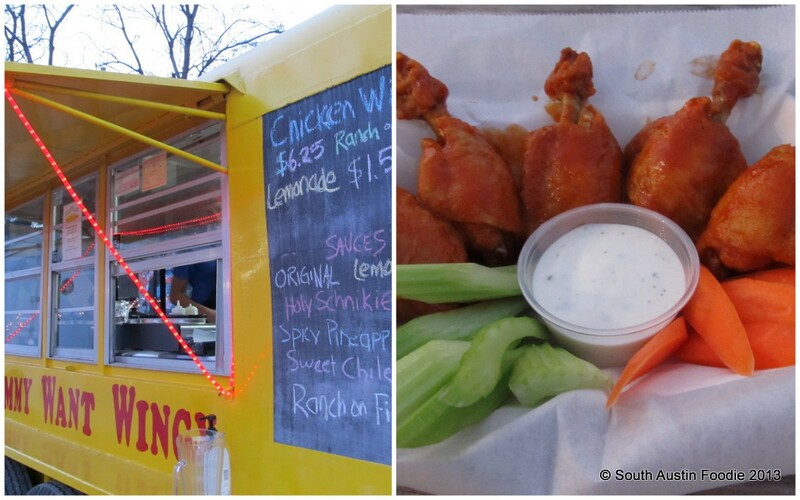 -- Tommy Want Wingy is a creative chicken wing truck of the highest quality! Even if you're not the biggest wing fan, you will like these, because owner Neal, who has extensive food service background, makes them into "lollipops" so you get a drummette with a lot of meat on it! And, he's got several sauces to go with them, from the more tropical to the hot and spicy, and he makes all of them from scratch; I particularly loved the spicy pineapple and sweet chile. So take some beer and have a dog and wings, and listen to some music at the Barton Springs food court! -- I was there in early February, and a couple trucks had JUST moved in and should be up and running by now: Pagoda Pizza, Way South Philly, Momo's Southern Goodness, and Mister FruitCup which actually has been open there for quite some time. Wholly Kabob is coming soon (I have had their Persian-style kabobs before, and they are amazing!). It's going to be nice and rockin' over there! Just north of them on Jessie is Flip Happy Crepes, one of the original food trucks in town; they always have fabulous sweet and savory crepes, but are generally just open for lunch. -- An update since I originally posted -- Wholly Kabob just opened! I had a delicious grilled beef wrap, called the Dude, with lots of Middle Eastern flavors in it. It was so flavorful and fresh! I also had a bite of one of their bowls with crispy basmati rice and pieces of grilled beef, which I will have to try one of my own next time. -- The Fat Cactus is where it's at! Navajo-style fry bread! REALLY! Sweet or savory, and either way, darn delicious! 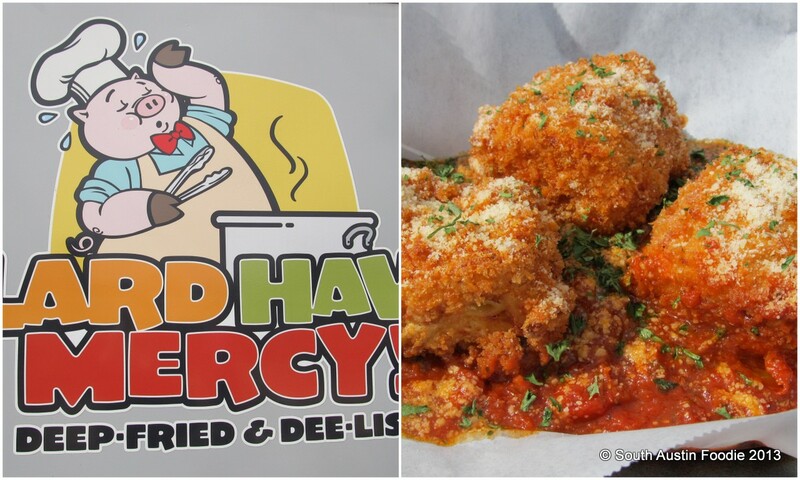 I met owner Courtney over there one chilly Friday night in February; she and her husband both have years of experience in food and wine, and both still work their restaurant jobs while operating the trailer Thursdays thru Sundays. 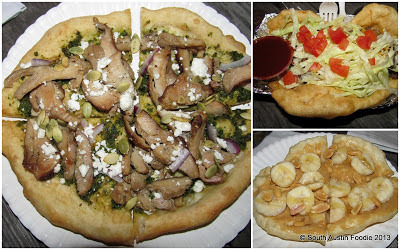 All the frybread is made to order, and they have pizzas, tacos, and desserts, as well as vegetarian options. We started with some queso, which I believe is from real cheese, not the fake stuff! Great flavor, especially with some green chiles in there, giving it a nice New Mexican touch. We had the Foghorn pizza, with chicken, cilantro-pumpkin seed pesto, with goat cheese. I will say, fry bread makes a perfect pizza crust! And while you can't tell there's meat under there from my picture, the OG Taco, with seasoned ground beef was also incredible -- the meat has a ton of flavor! And finally, the PB, Banana and Honey for dessert. It would only be better with a little drizzle of chocolate! There were a few other customers, but we were the only ones sitting and eating, so Courtney came out and chatted with us. They have perfected the art of the frybread, and like many trailers, also offering catering for events. Definitely worth the effort of parking in and around South Congress! 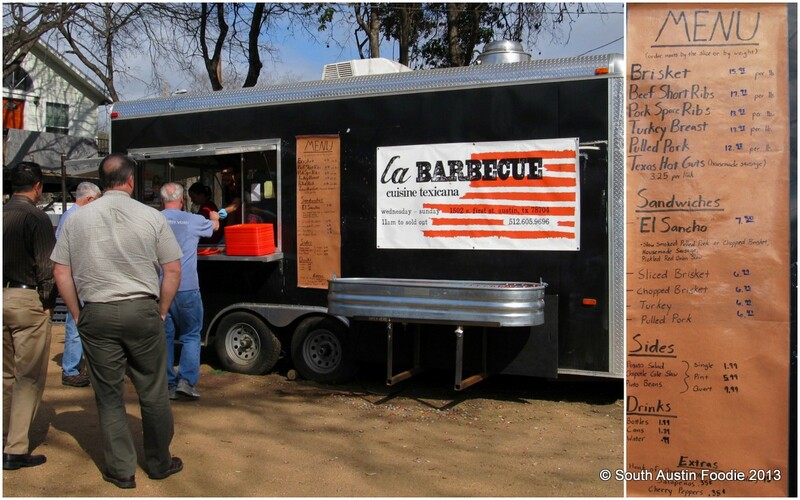 -- Other trailers here include Crepes de Mille, Little Big Mike's Pizza (which I think I had at one of the Long Center Trailer Food Tuesdays, and it was great! ), and Hey You Gonna Eat or What? -- For a couple of years, this has been the "iconic" Austin trailer park, with such notables as Hey Cupcake and the Mighty Cone (and literally a dozen in between). The word on the street is this lot will close down after SXSW this year (so in late March) to make way for the development that has threatened it for years. 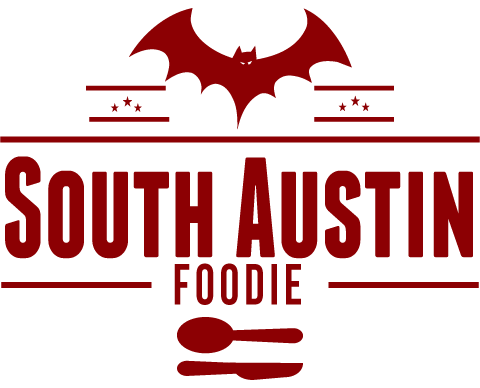 Not sure if it's slated for a boutique hotel or upscale apartments, but this trailer location has contributed to the South Austin funk scene, I mean where else could you get an Indian dosa, Cajun po-boys or the best wurst within feet of one another? Hopefully these trailers will live to see another day in new locations. -- This charming little spot has gone through some transformations over the past year; I don't think any of the trailers there now were present when I wrote this post for last year's City Guide. -- Lard Have Mercy, while the service was a touch snarky, the fried mac and cheese with bacon was really quite good, and a decent-sized portion. Pretty much everything on the menu has bacon; this might not be the spot for vegetarians! 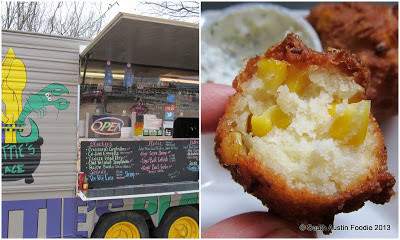 -- I've only been for the corn fritters, but I absolutely fell in love with them at Nettie's Place, a Cajun trailer. I think they use corn flour instead of corn meal, so they were really light (for fried dough) with whole corn kernels in them. Have heard the po-boys are excellent too, and I need to get back over to try. -- Other trailers over there include Blue Dog Pizza, Bufalo Bob's Chalupa Wagon, Bananarchy, Oh My Taco; they often have live music at the park, including a number of day shows for SXSW. -- On the west side, you have the revamped La Barbeque, which I tried recently. Other than the fact they forgot my coleslaw with my to-go order, I found the people working there to be incredibly friendly. And when I Tweeted them about my missing item, they wrote back within an hour and apologized. Nice to have some BBQ in the area! In the picture below, from the top, sausage, brisket, and pork ribs. 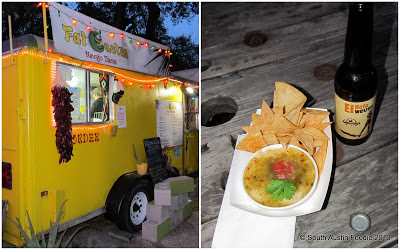 -- On the east side of S. 1st, you have Gourdough's, Mellizzoz Tacos (formerly Izzoz, I have really liked them in the past, and thought they were overshadowed by places like Torchy's), and Dock 'n Roll. -- They have withstood the tests of time and also being a singleton; they are the only trailer at this location, and they are only open 11a - 4p, Tuesdays thru Saturdays, but they've been here forever. And they rock. 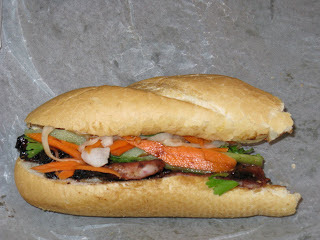 They are a Vietnamese trailer, and their char-grilled pork banh mi's are killer. Yeah, they may be a touch more expensive than what you get at a place like Tam Deli up north, but to me it's worth it. I can get an order of spring rolls and a banh mi, and have lunch and dinner. This picture is from 2008, but they are still delicious! One of the owners went to Vietnam in December and brought back some new street food ideas, and they're now regularly posting them on Facebook. -- Another iconic one, the Torchy's trailer launched the franchise of stand-alone restaurants. Creative combos. Also there is Holy Cacao cake balls. -- Several trailers, Wasota (west African; I haven't been since my post last year, but the owner was SO friendly! ), Ruta Maya Coffee, Phatso's (cheese steaks), Little Thai Food. -- Trai Mai Thai just relocated to South Lamar and West Mary, in the parking lot of the Corner Bar. I had tried their food last summer at a media tasting when they were by Red's Porch, and it was great! Tell me what YOUR favorite South Austin food trailers are! Think you would enjoy Ah La Cart. Definitely worth a try. Thanks! I've been wanting to try it! What items do you recommend? Who doesn't like tater tots? A great question! Somehow they came up a lot in my late night post! Your brought up a lot of places off my radar that I have to look up. I'm glad you love Lulu B's it is one of my all time favorites, it looks like they have been doing interesting foodie specials on Saturday nights too. Great post! Thanks for this great post, Suzanna. 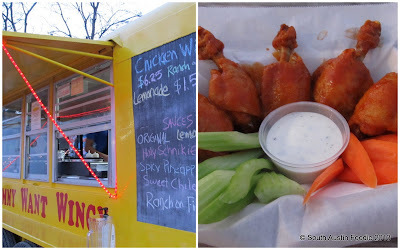 I've added both Fat Cactus and the wing place to my list of spots to try. Thanks, Jodi! Both Fat Cactus and Tommy Want Wingy were run by people who have a lot of food service + wine backgrounds, and they really care about their foods! We'll have to have a Via 313 date soon! Agreed! I hear great things! Thank you, m'am! 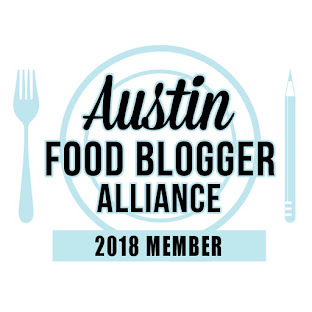 :) Hope you saw my post on South Austin restaurants too! LOL, I didn't know there was a VIA 313 on the east side til I read YOUR post! :) Let's get together sometime!! Great post! I'll be referencing it many times over. You've done our fabulous part of town so much justice.